Come and enjoy the authentic flavors of beautiful Mexico. At Mexico Lindo Restaurant we delight you with authentic Mexican food made from traditional recipes and fresh ingredients, served by a friendly and courteous staff in a clean and comfortable atmosphere. Visit our cantina and enjoy our large selection of imported and domestic drinks. 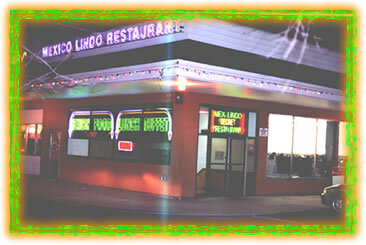 Enjoy Mexico Lindo Restaurant's exclusive tequilas, brandys and specialty drinks. TWO LOCATIONS IN VIRGINIA AND MARYLAND.